Eric and Emily Haggman unearth mystery around every corner. Finding thrills in Tokyo’s nightlife. IT’S NOT EVERY DAY that a travel advisor is asked to track down mobsters and other shadowy figures for clients, but Eric and Emily Haggman’s journeys yield stories far beyond the typical vacation yarn. Married for 30 years and partners in a Boston advertising and PR firm, the Haggmans turn to Virtuoso travel advisor Kip Abbott of Manchester, Massachusetts, to connect with the local characters and dive into the settings that inspire Eric’s novels. Hoping to find a compelling plot, the Haggmans booked research trips to Asia in 2012 and returned home with a page-turner. Eric: My first novel, The Apology, came out of two monthlong trips – one in Vietnam, the other in Japan – that Kip planned for us. The story revealed itself as we went along: An American filmmaker and former U.S. Marine who served in Vietnam returns to Asia to shoot luxury tourism commercials, only to get caught up with his past and the Japanese mafia. Emily: We travel because there’s no replacement for getting out in the world. Eric could research his books on the computer, but at home you can’t talk to the locals, you don’t have brilliant guides, and you don’t get the sounds and smells and real-life drama of a place. We were like nomads in Vietnam, soaking up every sight. The book opens at the Sofitel Legend Metropole Hanoi, where we stayed. Kip also set us up with a guide who introduced us to the Apricot Gallery, where we saw the painting that’s the centerpiece of the first half of The Apology. Eric: Our second trip, to Japan, was where Kip really went above and beyond. I needed to better understand the Japanese yakuza (mafia) culture and the social fabric of Tokyo’s New Latin Quarter nightclub, where celebrities and underworld figures mingled from the 1960s to the 1980s. Kip set up a meeting with its legendary manager, Shintaro Yamamoto, and we sat and talked with him for two days through a translator Kip arranged at Tokyo’s Mandarin Oriental Hotel. 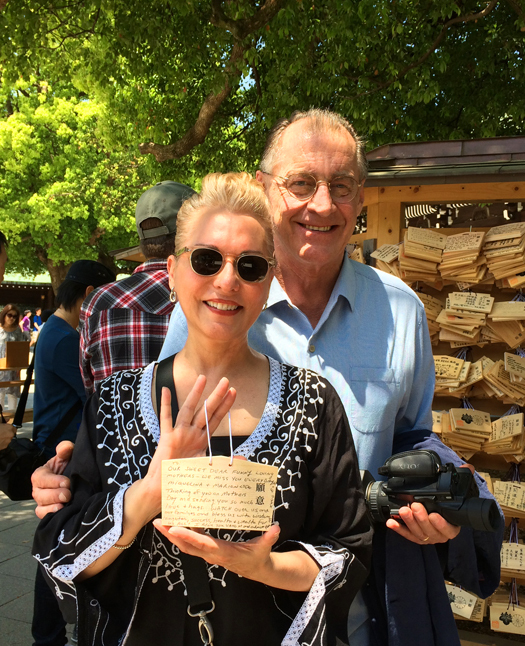 The Haggmans, well-wishing at Meiji Shrine. Emily: Eric sets some scenes in Tokyo’s red light district, which we needed to visit. 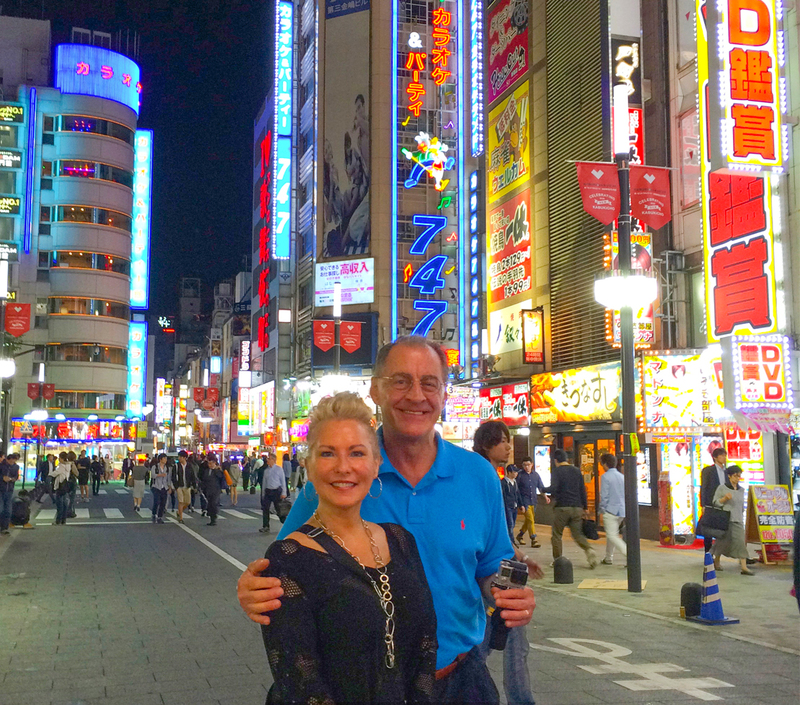 The concierge at the Mandarin gave us a funny look, but we explained ourselves, and they had a guide take us around to the pachinko parlors and seedy backstreets just so we could get the clink-clink-clink feel of the neighborhood. Eric: Iceland looks absolutely gorgeous. We don’t like to return to destinations we’ve visited, but I’d be thrilled to go back to Asia. Browse more real traveler stories from Virtuoso clients.